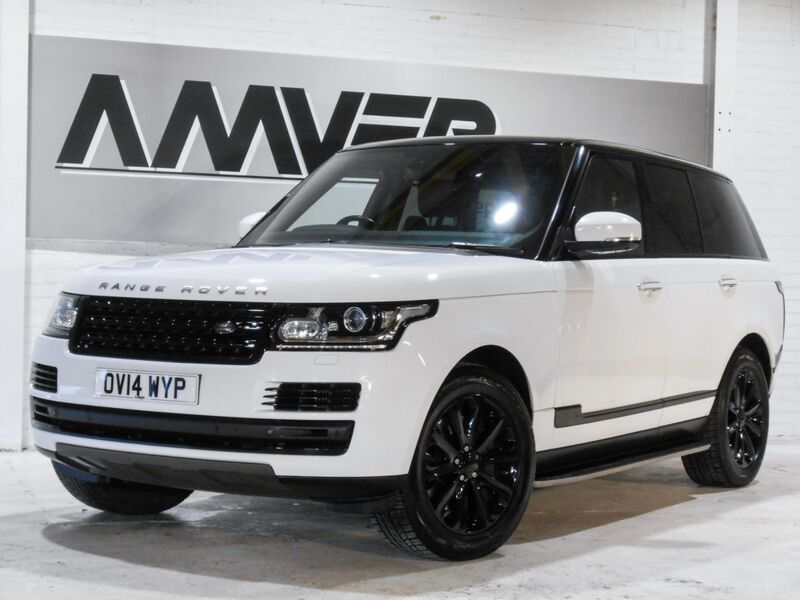 A stunning 4.4 litre V8-powered Vogue SE with just 27,000 miles in Fuji white with black leather & gloss black fascias. Absolutely fantastic to drive & very well equipped with heated steering wheel, heated & cooled electric front seats with triple memory, heated electric individually reclining rear seats, heated windscreen, dual view front screen with digital TV & wireless headphones, 360-surround camera system, keyless entry & ignition, remote heating system allowing you to turn on the car's heating from inside your home or using pre-set timer, adjustable coloured ambient lighting, Meridian audio system with subwoofer, voice command system & more. A great looking example with exterior black design accents, xenon headlights with LED signature running lights, side steps & 20" gloss black alloy wheels, supplied with complete book pack in Land Rover wallet, two keys & service history, last serviced at Prestige Land Rover of Paisley just 30 miles ago. This car comes with six months Momentum Platinum Plus warranty so that you can drive away with total confidence knowing that you are benefiting from what is probably the best warranty cover available in the UK today. We have signed AA's Dealer Promise which means all cars are provided with a full history check, 12 months AA breakdown cover or member upgrade as well as other exclusive AA member benefits. HP & PCP finance available with no deposit, subject to approval.